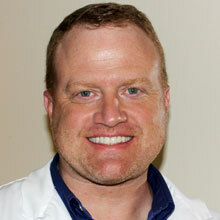 Dr. Matt Dunford went to South Gwinnett High School in Snellville, GA. He earned an undergraduate degree in Medical Biology from the University of Utah and received his Doctor of Dental Medicine degree (DMD) from the University of Louisville School of Dentistry. He moved back home to Georgia in 2001 and started practicing in Dawsonville. In 2014 he changed practices to work at the former office of Dr. Abbey Lee and Dr. David Wells in Gainesville, Georgia. Dr. Dunford regularly attends the most up-to-date, continuing-education classes available. He has completed courses at the world-renowned Las Vegas Institute for Advanced Dental Studies (LVI), and training from Dr. David Clark, Dr. Ross Nash, and Dr. Newton Fahl among others , and has lectured about the CEREC CAD/CAM same-day crown system he began using in 2004. Dr. Dunford likes to give back, working for a number of years with the Boy Scouts of America. Among other activities, he took a group of Scouts on a 40-mile sea kayaking trip off the Georgia coast, and also spent an entire week living onboard a 45′ sailboat exploring the Florida Keys at Sea Base with his Scouts. He enjoys camping, hiking, hunting and fishing. His favorite past time, however, is spending time with his wife, Tana, and their five children (ages 7 to 20).